On November 15, ARPA-E announced its newest family of projects as part of the OPEN 2018 program, providing $98 million in support for 40 early-stage energy technologies. In that announcement, we not-so-subtly hinted we were just getting started. Hold up, What is OPEN+? With OPEN 2018, we invited innovators to send us their ideas for disruptive new technologies across the full spectrum of energy applications. The community responded in force, and we received a record number of high-quality ideas. While evaluating the thousands of concepts papers submitted, we started to notice a few themes emerging around specific technology challenges. The OPEN+ cohorts unite these similarly-themed projects. ARPA-E plans to announce a total of 8 OPEN+ cohorts throughout late 2018 and early 2019. 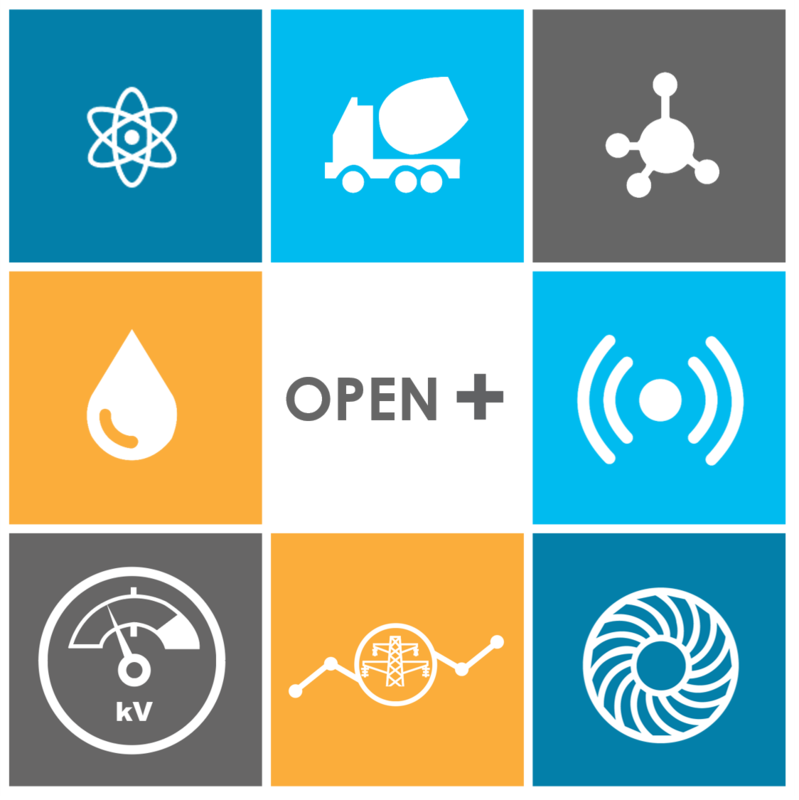 Like our traditional OPEN solicitation, OPEN+ is the result of an open call for technologies across the entire scope of ARPA-E’s energy mission. Grouping projects into cohorts creates a collaborative community around each subject area, similar to ARPA-E’s focused programs. By combining the inspiring work from our OPEN applicants with the focus of our technology-specific programs, OPEN+ will further empower ARPA-E to fulfill its role of accelerating energy innovation for a more secure, affordable, and sustainable American energy future. The OPEN+ Nuclear cohort seeks to tackle nuclear reactor construction and cost constraints through advanced materials design. Los Alamos National Laboratory will develop a scalable, compact, high-temperature, heat pipe reactor (HPR) to provide heat and electricity to remote areas. Their novel design could eliminate obstacles to nuclear deployment, including cost uncertainty and hybrid integration. The University of Wisconsin-Madison is developing new materials that are resistant to molten salt corrosion to enable promising molten salt technologies used in advanced nuclear reactors, concentrated solar power, and thermal storage. You can find the complete list of OPEN+ Nuclear projects here. Neuvokas Corporation is working to develop an energy-efficient continuous basalt fiber (CBF) manufacturing process, which has the potential to reduce expenses, emissions, and increase the lifespan of concrete. The University of Wisconsin-Madison looks to develop new materials that are resistant to molten salt corrosion, enabling promising molten salt technologies for advanced nuclear reactors, concentrated solar power, and thermal storage. You can find the complete list of OPEN+ Concrete projects here. The project teams of the OPEN+ Methane cohort will pursue methods to transform methane into high-value carbon and hydrogen. The United States is the world’s largest natural gas producer,[iv] and this valuable resource contributes to nearly 30% of total U.S. energy consumption. [v] Methane is the primary component of natural gas, and teams hope to use this domestic resource to create useful carbon materials and fuels, leading to energy savings and reduced emissions. Nanocomp Technologies hopes to develop an industrially scalable method to convert natural gas to a high-value carbon material, Miralon®, while also producing hydrogen. ETCH will work to scale-up a novel process to convert natural gas into hydrogen and solid carbon with no water input and reduced emissions. You can find the complete list of OPEN+ Methane projects here. Oregon State University is developing a system for extracting clean irrigation water from hydraulic fracturing wastewater using low-grade solar or industrial waste heat. The University of Oklahoma will develop a novel, zero-liquid discharge freeze system to remove dissolved salt from contaminated water, such as is produced by industrial processes like oil and gas production and fracking. You can find the complete list of OPEN+ Energy-Water Technologies projects here. Geegah LLC will develop an inexpensive wireless sensor, using ultrasound from MHz to GHz, that can measure water content, soil chemicals, root growth, and nematode pests (a type of small worm), allowing farmers to improve the output of biofuel crops while reducing water and pesticide use. The University of Colorado, Boulder will develop 3D-printed, biodegradable soil sensors that enable farmers to precisely understand crop water and fertilizer needs. You can find the complete list of OPEN+ Sensors for Bioenergy and Agriculture projects here. The four Kilovolt Devices OPEN+ projects will focus on a variety of challenges facing power electronics in the medium voltage space. Americans rely on electricity every day. The U.S. electric grid is vast, utilizing multiple energy sources to supply citizens across the country. Improving the systems that manage all this hardware enables us to strengthen our grid’s reliability and safety. Medium-voltage devices are a small part of the electricity equation with the potential to make a huge impact. From transportation to industry, the grid, and beyond, new solutions to handle medium-voltage power could greatly improve efficiency and reliability across most of our economy. Virginia Tech will accelerate deployment of power electronics into grid-scale energy applications by developing 20 kV gallium nitride devices integrated into a medium-voltage power module. The Ohio State University will develop gallium nitride (GaN) semiconductor materials suitable for high voltage (15-20 kV) power control and conversion. You can find the complete list of OPEN+ Kilovolt Devices projects here. Medium-voltage devices are only one way our teams are working to strengthen the grid. Another is the four Data-Driven Grid OPEN+ projects that harness the power of data and machine learning to create effective, efficient safeguards for the U.S. electric grid. While the grid’s vast reach delivers electricity throughout the nation, it also makes it vulnerable to physical, natural, and cyber threats. We rely on system operators to manage and protect it from large disturbances and blackouts, but this is a complex role that is being made more so with the incorporation of distributed energy resources. A new, data-drive grid management approach would not only assist with quick operative responses to supply and demand, it would also serve to protect against disturbances before they unfold. This would lead to fewer blackouts and more stability and security. It means more power to the people. Literally. ABB Inc. will design a low-cost, secure, and flexible next-generation grid service platform to improve grid efficiency and reliability. Pacific Northwest National Laboratory will construct an intelligent, real-time emergency control system to help safeguard the U.S. electric grid by providing effective and fast control actions to system operators in response to large contingencies or extreme events. You can find the complete list of OPEN+ Data-Driven Grid projects here. Spring has sprung. For many across the country, this means adjusting the thermostat, as we no longer need to blast heat. How we heat and cool our home affects our energy consumption, and so does every light we turn on and every extra hour we watch our favorite shows on our TV. Our homes, as well as commercials spaces, use a lot of energy. In 2017, the U.S. residential and commercial sectors consumed 38 quadrillion British thermal units. With great power comes great responsibility, and ARPA-E teams are taking the challenge head on. These teams seek to improve our efficiency and reduce cost and emissions by integrating additive manufacturing and advanced generator technology. Brayton Energy is developing an efficient and low-cost residential-scale combined heat and power system that could radically transform how we heat and cool our homes, charge our growing electric vehicle fleet, and more. Pennsylvania State University is developing a novel manufacturing process that prints integrated sensors into complex systems such as gas turbines for real time monitoring. You can find the complete list of OPEN+ High Temperature Devices projects here. And that’s a wrap of our OPEN+ cohorts. Check out our website to watch how these teams continue to change what’s possible, and stay up to date on the latest ARPA-E funding opportunities. [ii] Nuclear Energy Institute. Nuclear Costs in Context. April 2016.